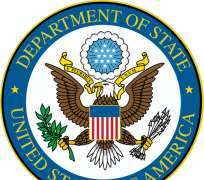 WASHINGTON, April 30, 2015/African Press Organization (APO)/ -- The United States condemns the ongoing political violence taking place in Burundi and the government's crackdown on media, civil society, and the political opposition this week, including reports today that the government has taken steps to restrict access to the internet and social media. These actions – and those we have seen over the past year – point to a country that has made great progress but sadly is now moving in the wrong direction. Today we see a Burundi seized by fear and at severe risk of deadly violence. But today we also see a Burundi that still has the time and means to correct course and get back on the path of progress. We deeply regret the decision by the ruling party to nominate President Nkurunziza for a third term in violation of the Arusha Agreement. President Nkurunziza himself has been consistently dismissive of the risks inherent in his privileging his preservation of power over the critical need to respect the terms of the Arusha compact. Burundi's leaders must end their complacency and now find ways to avoid violence and decide on how best to ensure elections are peaceful, credible and transparent. The actions the Burundian government has taken this week undermine this goal. We call on the government to open a dialogue with members of the opposition and civil society on steps to ensure a credible and inclusive electoral process. We call on the Burundian government to respect the rights of its citizens to gather peacefully, to allow political parties and candidates to campaign, and to ensure an open and transparent debate in which diverse views can be aired. This extends to media and its right to report freely on the election process without fear of intimidation, censorship or arrest. We are deeply troubled by the arrest of hundreds of protesters and civil society leaders, and the shuttering of independent media outlets. These arrests and harassment of peaceful protesters and the media must stop. We call on the government to grant UN human rights staff access to hospitals and prisons to ensure the needs of those injured and detained are being addressed and their rights respected. We also call on the opposition to participate constructively in the democratic process and to shun violence. We reiterate our intention to hold accountable anyone on any side of Burundi's political debate responsible for fomenting violence. The United States is monitoring the situation closely and will take targeted measures, including by denying U.S. visas, to hold accountable those individuals who participate in, plan, or order violence against the civilian population. The UN Security Council also met today to discuss the deteriorating situation in Burundi and heard disturbing reports about developments on the ground. These include the unconfirmed deaths of two people, close to three hundred arrested, and 22,000 refugees flowing into neighboring countries. Council members expressed deep concern regarding the escalation of violence and political tension in the country as well as the restrictions on freedom of expression and assembly. Earlier this month, the Council also expressed its determination to consider action against those who actively facilitate violence, including by distributing weapons to youth groups. President Nkurunziza and the people of Burundi still have an opportunity to choose peace and to choose progress. Burundi's leaders must recognize the valuable role that any political opposition, civil society, and media play in a healthy, open and inclusive democracy and must make space for their constructive participation.